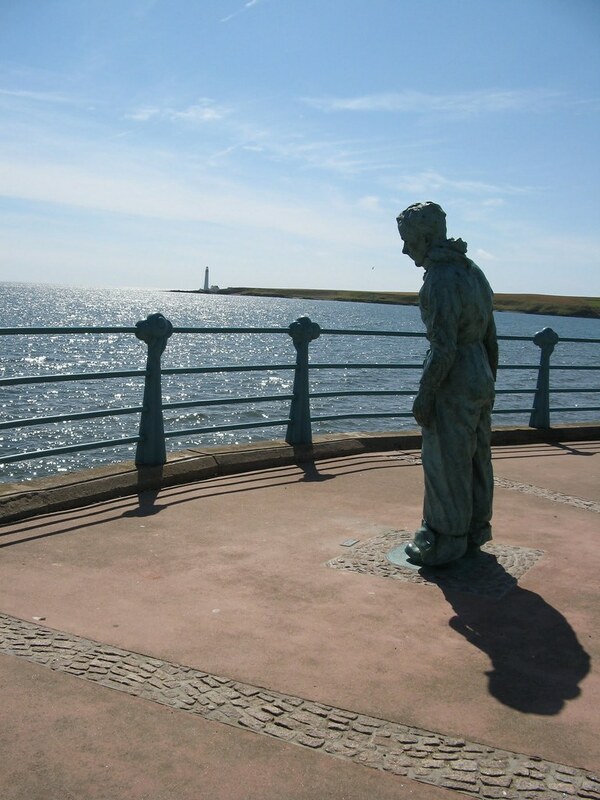 Fourteen miles north of Arbroath is the elegant town of Montrose in Angus, the most pleasant and interesting of the Angus towns, rich in history and with great beaches to the north and south. It stands at the mouth of a vast tidal basin, covering 2,000 acres and bordered by 17 miles of roads. 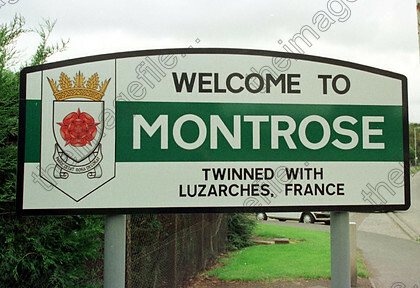 Deep rooted in history, this picturesque coastal town of Montrose had been a Royal Burgh home to many wealthy landowners and deep pocketed merchants. 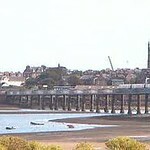 The natural harbour of Montrose, which was strategically situated between the South and North Esk river mouths was once used for both import and export and catered to ships arriving from as far as the Baltic, France and Portugal.Today the Montrose port is used to mainly to support the North Sea oil industry. The basin is home to a multitude of wild birds such as ducks, geese, swans and waders who come here to search for food on the wide expanse of mud flats. 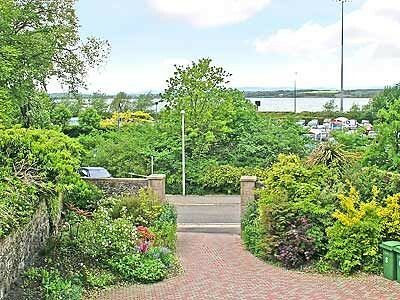 The Montrose Basin Wildlife Centre is at Rossie Braes, a mile out of town on the A92. They have superb viewing facilities, with binoculars and high-powered telescopes as well as remote-control video cameras. There are also guided walks around the reserve. Apr-Oct daily 1030-1730; Nov-Mar daily 1030-1600. Tel. 676336. Like most of the Angus' coastal towns, Montrose has a lovely sandy beach. 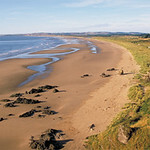 Lunan Bay, just south of the town is a braod sweep of sand, backed by dunes which curves for 6 miles from Lang Craig to Boddin Point. It's a good shore to search for semi-precious stones such as agate and amethyst. North on the Stonehaven road lies an old salmon fishing industry, dating back to the 18th century. 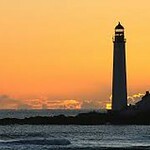 Salmon was processed and exported from this area as far back as the middle ages. But in the 18th century, trade started with Billingsgate market in London, the fish being packed in ice and sold fresh. The icehouse has reportedly the largest volume of any ice chamber in Scotland. Ice would have been placed in the chamber from frozen ponds each winter, and the chamber sealed up until the fishing season started. Apart from the many hotels, eating options are limited. Murray Lodge at the north end of Murray St does a tasty lunch as does the public house Sharky's in George Street. Roo's Leap, overlooking the links, is another favourite with locals and visitors alike. Just outside of town, the Hillside Hotel (Tel: 01674 830230) has gained a reputation for serving up excellent evening meals. The train station is on Western Rd, 1 block from the High St. There are trains every 30 mins to Aberdeen and Dundee. Buses stop in the High St. There are frequent buses to and from Aberdeen (1 3/4 hrs), though you have to change at Stonehaven. Strathtay Scottish, Tel. 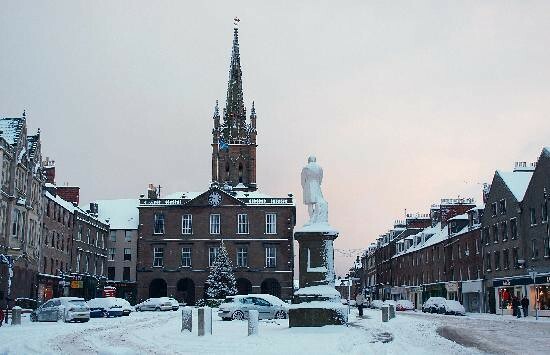 01382-228054, runs regular buses to Brechin and Forfar. The tiny Tourist Information Centre is next to the library, Tel. 672000. Apr-Jun and Sep Mon-Sat 1000-1700; Jul-Aug 0930-1730. 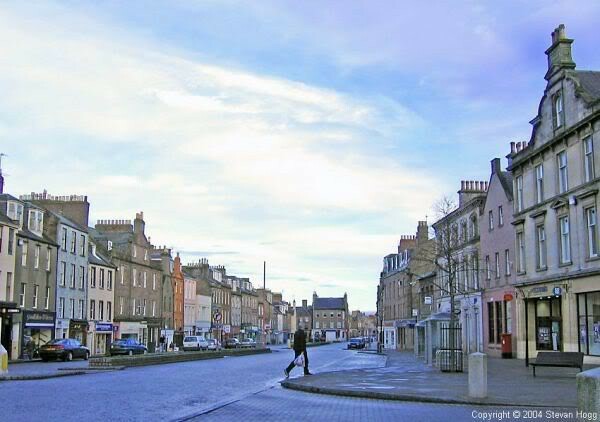 Montrose was once a thriving port, trading with various European countries, and the wealthy 18th- and 19th-century merchants built their houses gable-end to the street, in imitation of the Continental style. This earned the townsfolk the nickname of 'gable-endies', which has stuck to this day. 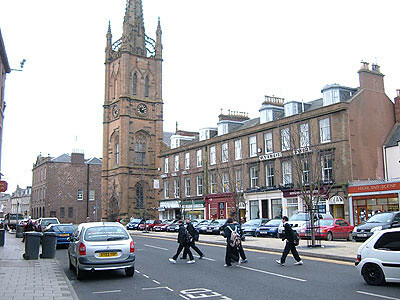 The sole remaining gable-ended houses can be seen on the High Street, which is the widest in Scotland. 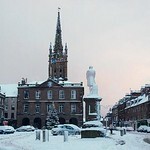 The south end of the High Street is overlooked by a statue of Sir Robert Peel, a local man who was British Prime Minister and founder of the present-day Police Force. From his name came the old slang term for police, 'The Peelers'. 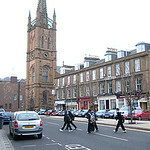 A few blocks from the High Street, on Panmure Place, is Montrose Museum and Art Gallery, housed in a fine neoclassical Victorian building and one of the first purpose-built museums in Scotland. Among the displays are Bronze-Age axe-heads, Montrose pottery and silver (the town had its own assay mark, a rose, and pieces are much sought after). The Maritime Gallery has a fleet of model ships, relics of the once-thriving whaling industry, and Napoleonic items, including a cast of his death mask. Mon-Sat 1000-1700. Free. Tel. 673232. 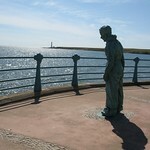 Outside the museum is a lifesize bronze sculpture of a boy by local sculptor, William Lamb (1893-1951). More of his work can be seen at the William Lamb Sculpture Studio on Market Street, where his famous subjects include the Queen, Queen Mother and the great Scots poet Hugh McDiarmid. The studio was left by the artist as his memorial gift to the town. Near the museum, on the same side of the street, up an alley (or close), are Taylor's Auction Rooms. Every second Saturday, people come from far and wide to bid for paintings, jewellery, furniture and many other items. It's well worth a visit, and you might even come away with a piece of locally hall-marked silver. On the A92 heading north out of town is the Aerodrome Museum. 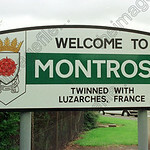 Montrose was Scotland's first military airfield, used in both world wars for the training of pilots. The museum documents the lives of many of the men who lost their lives, including the chilling tale of Lieutenant Desmond Arthur whose ghost is said to haunt the former air base. There are also assorted aircraft on display outside. Sun 1200-1700, or at other times by appointment. Tel. 675401. 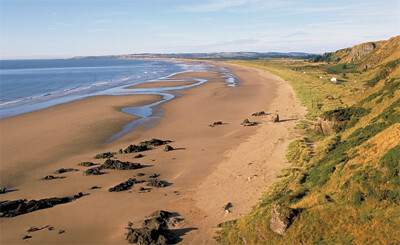 The Trail Drive leads to the town's impressive beach, which stretches all the way north to St Cyrus. There's a variety of wildlife around, including nesting puffins on the red sandstone cliffs. Overlooking Lunan Beach is the 12th-century ruin of Red Castle, which was originally a royal hunting lodge. Three miles west of Montrose on the A935 is the House of Dun, built in 1730 for David Erskine, Lord Dun. It is a very attractive Georgian building in the Palladian style, designed by William Adam, who was at the forefront of Scottish architecture between the Jacobite risings of 1715 and 1745, but otherwise somewhat eclipsed by his sons Robert and James. Lady Augusta Kennedy-Erskine, daughter of William IV and the actress Mrs Jordan, also lived there, and the house contains many royal mementos. Alas, the huge sword which was driven into a tree in the grounds by one of the Erskines was removed by the present owners, the National Trust, for safety reasons. The courtyard has recently been restored, and Angus Handloom Weavers, Scotland's last handloom linen weavers, are based there. Fine linen is for sale by the yard, as well as linen goods. There's an attractive café and shop. Easter and 1 May-30 Jun daily 1330-1730; 1 Jul-31 Aug 1100-1730; weekends in Oct 1330-1730. Garden and grounds all year daily 0930 to sunset. Tel. 810264. Strathtay bus No 30 to Brechin passes the entrance, ask to get off. North of Montrose on the A92, is the little coastal village of St Cyrus, whose church steeple is seen to great effect for miles around. Thanks to a bequest in the will of one John Orr in 1844, four local brides benefit each year in the most unusual way. The eldest, the youngest, the tallest and the shortest (all of them carefully measured by the local minister) receive a dowry from the interest on the money which he left for that purpose. Thus they are known as The Dowry Brides (read more about this tradition). The annual interest is in fact divided in five. The final fifth is used to buy comforts for the poor. The town is also known for its strict enforcement of the 30 mile per hour speed limit (this applies to Kincardine O'Neil on Deeside too). There's a wonderful sandy beach here, and the National Nature Reserve, complete with marine-life tank and visitor centre, is worth a visit. Tel. 01674 830736, May-Sep.
Kirkside Bothy, near the beach, Tel. 830780, Apr-Oct. There's also a campsite at East Bowstrips Caravan Park, Tel. 850328. At Lauriston, turn right at the Bush Hotel for Milton Haven. Bluebird Buses, service No 101 between Stonehaven and Montrose, pass through St Cyrus and Johnshaven hourly Mon-Fri (less frequently Sat-Sun). 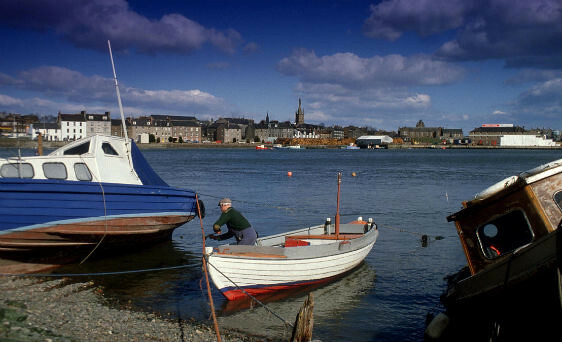 A few miles further on is the old fishing village of Johnshaven, a thriving fishing port until quite recently, and in the early 18th century probably the largest in Scotland. The village is unusual because of the great number of people who are called McBay. They are all mostly descended from two cousins, Long Ned and Little Ned, one of whom had seven sons, and the other 10. Johnshaven is a good spot for buying lobster and crab, and its annual Fish Festival is getting more and more popular. It takes place on either the first or second Saturday in August. The date depends upon the tides, which have to be suitable for visiting craft. There's accommodation in the village at Ellington B&B, Station Place. Tel. 362756. The three-mile walk north along the shore to Gourdon is one of the most pleasant and one of the easiest in the area. Very often, cormorants bask in the sun out on the rocks, spreading their wings to dry. Rather less often dolphins tumble past, their fins cutting a path through the water. In Gourdon you can buy fish from several fish houses on the harbour. A few miles further on from Johnshaven lies Inverbervie, birthplace of Hercules Linton, designer of the tea clipper Cutty Sark. 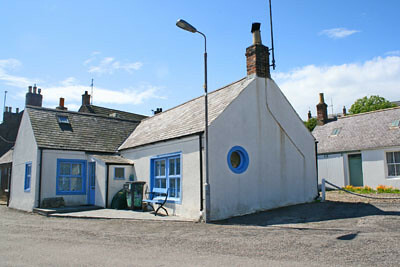 The village is probably better known for the Bervie Chipper which has been voted the best fish and chip shop in the UK. You can either eat in or takeaway (either way it's excellent value); just don't leave town without finding out what all the fuss is about. 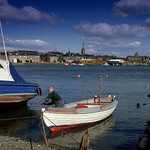 By decree of King David, son of Robert the Bruce, Inverbervie is a Royal Burgh and residents enjoy several privileges, such as free fishing in the local river. Many anglers know this, but the fish seem to know as well as they are not very plentiful. For full-blooded fishing make for either the North Esk River at Edzell or somewhere along its length before it flows out to the sea by the two bridges just north of Montrose. The old bridge in Inverbervie, built in 1799, is the oldest single span bridge in the British Isles. To see it, turn left to the north of the village, just before the memorial to Linton. In the village square is Mingei, which has a good selection of Japanese and European antiques. Just to the south of the village, on the left heading north, is the Mill of Benholm (pronounced 'Ben-um'). This is a water mill powered by the water from the miller's dam. There's also a little tearoom, visitor centre and an easy signed walk nearby. Bluebird Buses, service No 101 between Stonehaven and Montrose, pass through Inverbervie and Kinneff (see below) hourly Mon-Fri (less frequently Sat-Sun). Five miles inland from Inverbervie, between the A92 and A90, is Arbuthnott, birthplace of the amazingly prolific author Lewis Grassic Gibbon (1901-35), and where he spent his formative years. From 1928 till his untimely death at the age of 34, he wrote an astonishing 17 books. Sunset Song, the first part of the Scots Quair trilogy, is his best-known work. It remains one of the true classics of Scottish literature and is an absolute must for anyone exploring this area. The Grassic Gibbon Centre, at the east end of the village, traces his life and points out the places he wrote about. There is also a café and bookshop. Apr-Oct daily 1000-1630. £2, £1.25 child/concession. Tel. 361668. Grassic Gibbon is also buried here, under his real name of James Leslie Mitchell, in a corner of the churchyard, about half a mile away at the other end of the village. The parish church itself is one of the few intact pre-Reformation churches in Scotland and is notable for its 13th-century chancel. Near the centre is Arbuthnott House (see website for opening details), a fortified manorhouse dating from the 15th century. 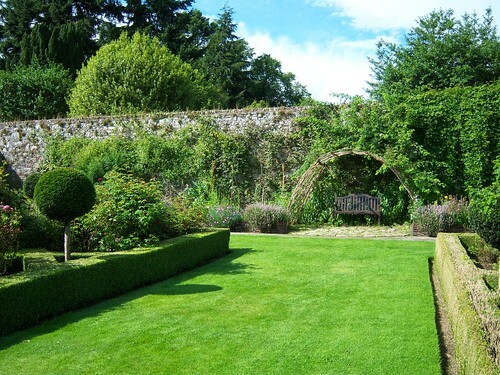 The gardens are open all year daily 0900-1700, the house on certain days in the summer. Details from Bervie Information and Activity Centre in the main street. A few miles north of Inverbervie, on the road to Stonehaven, you'll see a sign on the right to the Old Church, Kinneff, where the Scottish Crown Jewels - the Royal Regalia - were hidden in 1651 to protect them from Cromwell's greedy paws. Here they lay buried under the church floor for nearly 10 years. It's a mile and a half down to the church, where there's a memorial to the Reverend James Grainger, who hid the treasures and thus saved the 'Honours of Scotland': the crown, sceptre and sword. 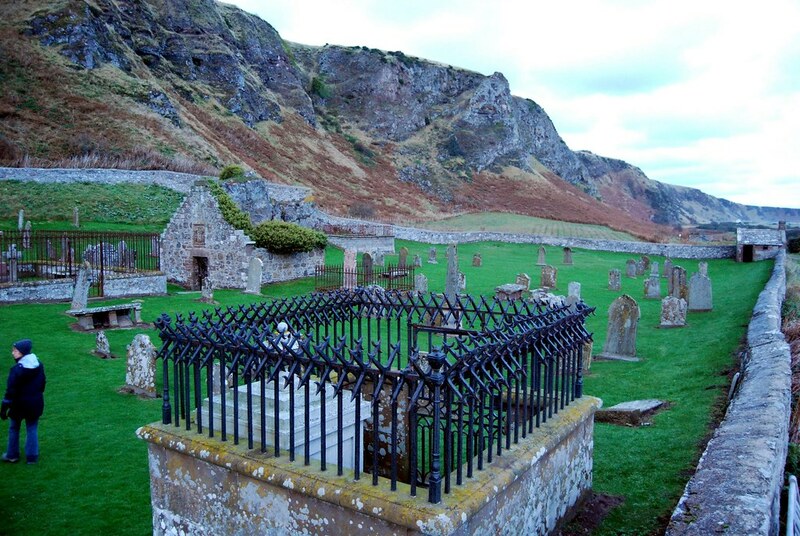 There are various stories of how they were smuggled out of nearby Dunnottar Castle. In Tales of a Grandfather, Sir Walter Scott relates how Christian Grainger, the minister's wife, accompanied by her serving maid, carried them out of Dunnottar in collaboration with the Governor and his wife. Another version tells how they were lowered on ropes down the castle wall. There, on the beach, a fishwife gathering seaweed hid the sword in a bundle of flax and the crown in her creel (used for catching lobsters). So, the 'Honours' were saved and are now displayed in Edinburgh castle. Just to the north of Kinneff, at Crawton, is the Fowlsheugh RSPB Reserve. The spectacular 250-ft high cliffs are home to tens of thousands of seabirds, including shags, guillemots, kittiwakes, fulmars, razorbills and puffins. They're best seen in early summer (May-July). You can see them from the top of the cliffs, but take great care. 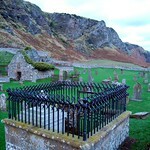 Better still, take a boat trip from Stonehaven (May-July on Tuesday and Friday at 1830). 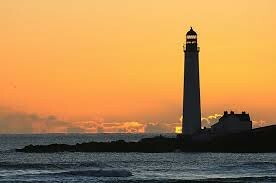 We have a hotel comparison service for accommodation in Montrose which you can review here: it contains the latest best prices from a number of websites as well as customer reviews. This is the easiest way to book online. The Links Hotel, Mid Links, Tel. 671000. 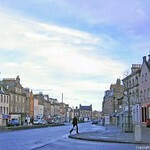 A short walk from the beach, comfortable town house hotel offering good Scottish/French cooking at mid-range prices. 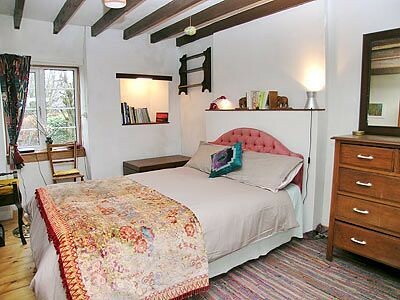 For B&B accommodation try the Limes Guesthouse, Tel. 677236, at 15 King St. For something a bit more scenic, there's Lunan Lodge, Tel. 01241-830679. An 18th-century country house in the village of Lunan overlooking Lunan Bay. 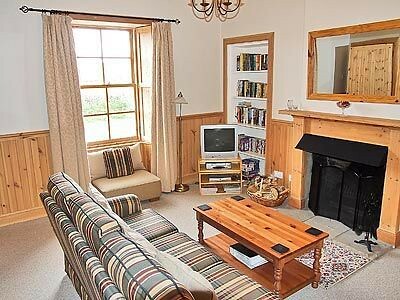 On the coast road north to St Cyrus there's a B&B in the old fishing station at Woodston, Tel. 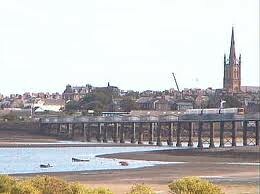 01674-850226, evening meal available, great bird watching down on the sands. Very picturesquely situated in a prominent position overlooking the harbour of this historic fishing village, this traditional, detached fisherman's cottage has been sympathetically renovated.